In October 2016, our company put yet another trophy on its wall of recognition. The International Finance Magazine, the high-ranked British online media, awarded InstaForex the Best ECN Broker in Asia. Remarkably, it is the fourth time when our company received this prestigious award. Let us remind that in 2009 our company was recognized as the best broker in Asia for the first time, and many years after that we are still holding the leading position in the financial services market expanding our activity on trading floors in the Asia-Pacific region. We are still a reliable partner for our clients in Asia, and another award by IFA has proved that InstaForex is the number one broker in this region � the broker chosen by millions of traders. In 2016, the wide range of trading solutions accompanied by first-rate services brought our company international recognition. InstaForex once again secured success with a prestigious award from European CEO, the UK reputable business periodical. 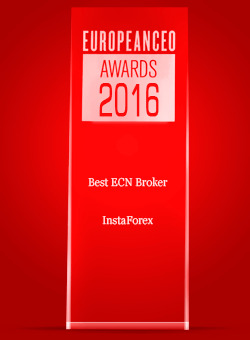 The win in the Best ECN Broker 2016 nomination proves professional excellence of InstaForex team. Besides, the award also mirrors solid trading results of our clients under highly volatile market conditions throughout 2016. Our traders managed to lock in record high gains when the pound sterling was in a downward spiral, the euro incurred losses, and the US dollar received a boost despite market expectations. InstaForex has been presented with the fourth top award from European CEO, which is considered to be one of hard-earned and distinguished awards in the global business community. The year of 2016 brought our company one more victory. Once again we are honored to receive this recognition from IAIR magazine. It is the fifth time when we receive a prestigious award from the well-known Italian business magazine along with 30 other companies in various categories. This year InstaForex became the titleholder in the category Best Forex Broker in Asia, once again confirming its leadership in this developing region. In 2009, our company was recognized as Best Forex Broker in Asia for the first time. Now, 7 years later, we still maintain reputation of one of the industry leaders, actively expanding our presence in trading floors of the Pacific Rim. InstaForex has proved itself as a reliable partner for Asian clients. 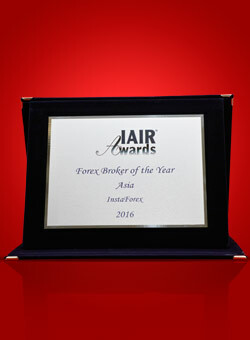 Another IAIR Award shows a high level of trust earned by InstaForex, the best broker in Asia. 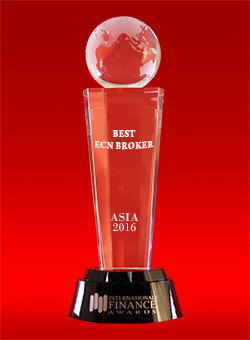 At the end of 2016 our company received several prestigious awards, one of which is Best ECN Broker Eastern Europe 2016 according to Global Business Outlook. Global Business Outlook, the British business periodical, aims to recognize business excellence across all sectors, so it hands out awards to the most distinguished companies regardless of their location and scale of operation. The awards are provided to the firms operating both nationally or regionally. In 2016 over one hundred nominees for banking and real estate awards, as well as for regional and leadership awards were chosen. 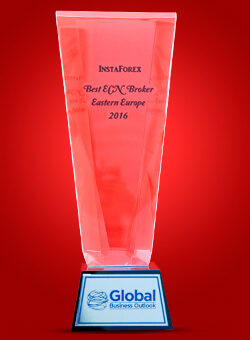 InstaForex received the regional award and was recognized as the best forex broker rendering trading services in Eastern Europe. This is the fourth time when our company takes the lead in the Best Broker Eastern Europe category. Earlier, IAIR Awards and ShowFX presented us with the similar awards. In 2016 InstaForex received five awards from famous business periodicals, one of which is Best Social Trading Broker 2016 according to UK Forex Awards. We were presented this prestigious prize during the awarding ceremony that was held in London as usual. Only the best forex brokers took part in this ceremony. InstaForex won the first prize in the Best Social Trading Broker category. 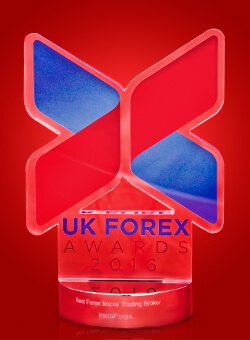 This is the fourth time when we obtained recognition from UK Forex Awards. UK Forex Awards is one of the most prestigious ceremonies for brokers that provide access to the global foreign exchange market.